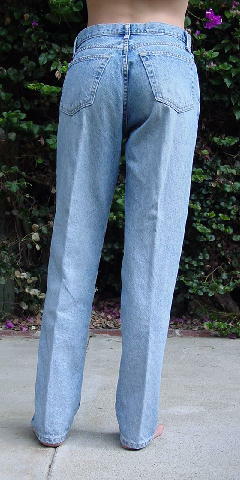 These 100% cotton light blue denim jeans have a 3-button fly front and 5 pockets. All the rivets and buttons have the name on them. 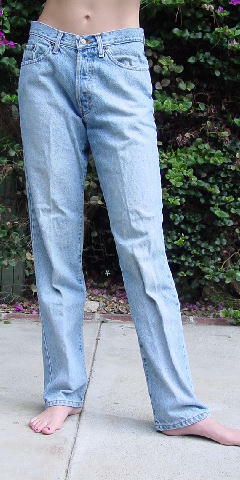 A model wore these with her Saks Fifth Avenue chenille pullover.